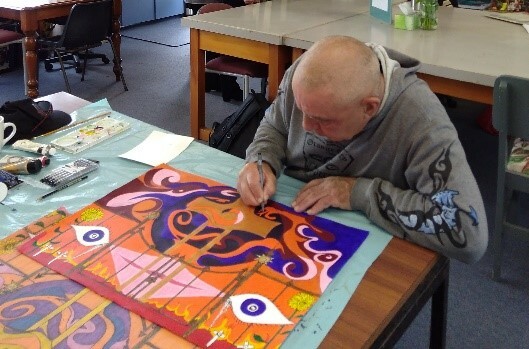 The profound impact of arts, health and wellbeing organisations in New Zealand has been omitted from the government’s Mental Health Inquiry report, released today. Set up in 2015 as an alternative to existing mental health day programmes, Ōtautahi Creative Spaces’s Room 5 studio is an artist-centred space that builds on artists' strengths and encourages leadership and development of creative practice. “We see artists going from strength to strength. In the last year, artists have hosted the Prime Minister and Minister of Health, given presentations at national conferences, and exhibited at CoCA the Centre of Contemporary Art,” Morton says. 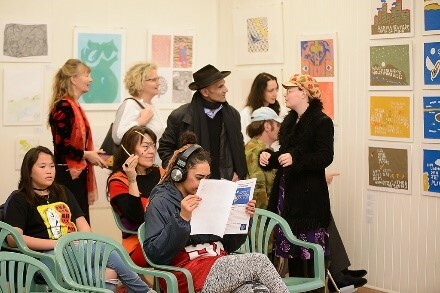 “Twelve artists participated in the Mental Health Inquiry, advocating for change at a meeting with Inquiry members. In August, Ōtautahi Creative Spaces was awarded the Arts Access Holdsworth Creative Space Award 2018, presented by Arts Access Aotearoa. Original generation time 2.3871 seconds. Cache Loaded in: 0.0006 seconds.